Open the front door and step into our peaceful penthouse paradise! 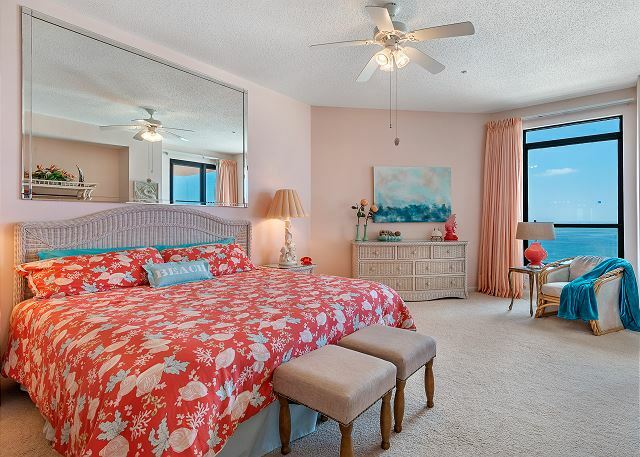 Enjoy spectacular, unobstructed, panoramic views of the Gulf from the living room, master bedroom, and oversized balcony. 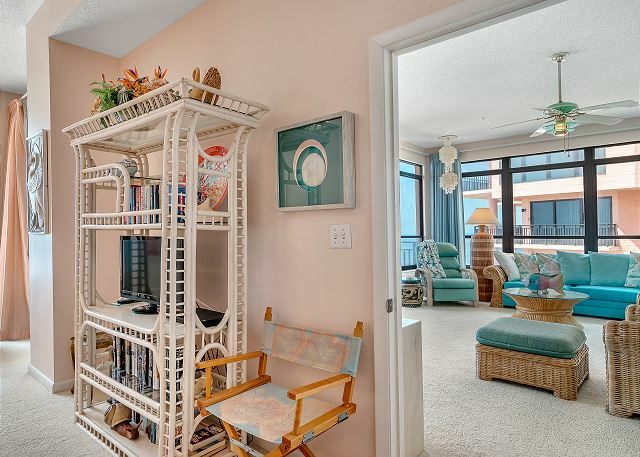 You'll have an amazing view from this 2,350 square foot 11th floor corner unit where you can watch dolphins play in the surf and see pelicans, seagulls, and ospreys fly by right at eye level. 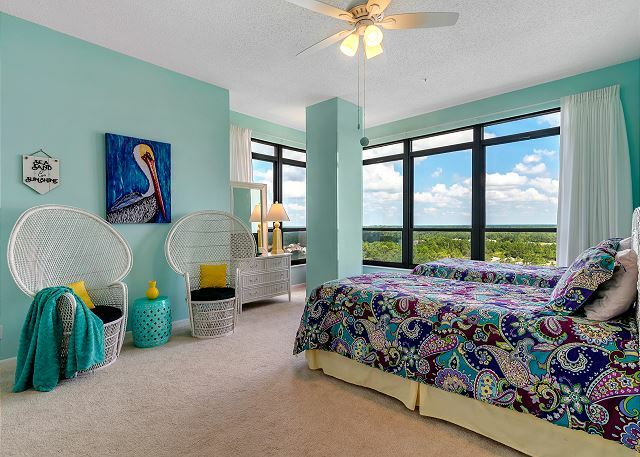 We like to think it's the best view in the whole complex and our renters agree! 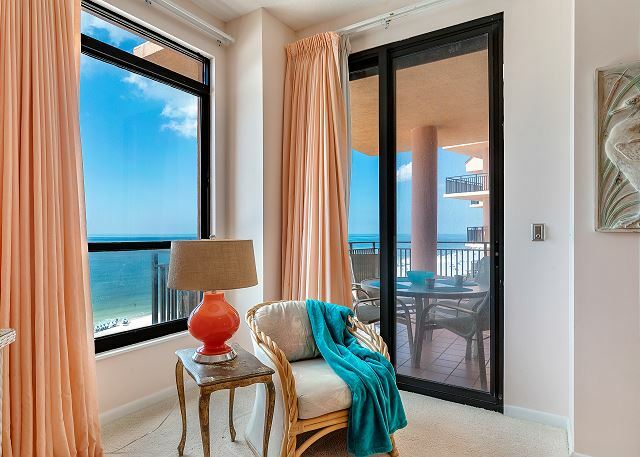 The living/dining area has an open concept floor plan with a wall of windows facing the Gulf. 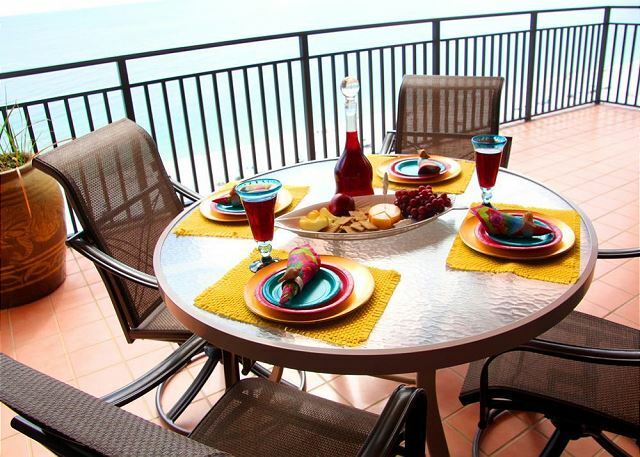 Enjoy a beautiful sunset from the dining table which seats six. There is extra seating at the kitchen bar and breakfast nook. 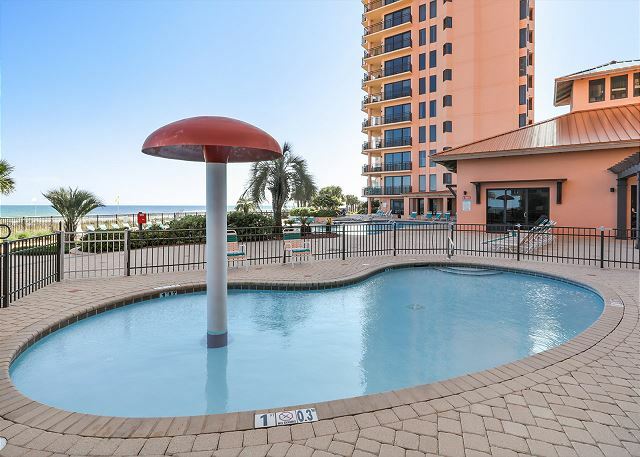 Relax on the huge sectional and watch a movie on the 42" flat-screen TV (with Blu-Ray/DVD player), or step out onto the balcony and unwind to the gentle breeze and the sound of the waves. 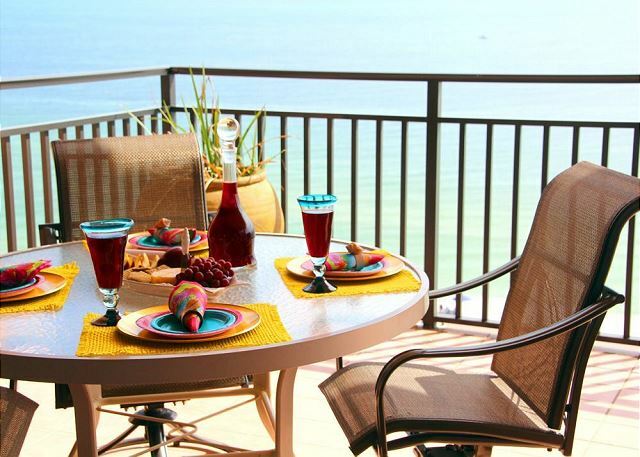 You'll find 4 high-back chairs, a large table, 2 cushioned lounges, and plenty of room to spare. 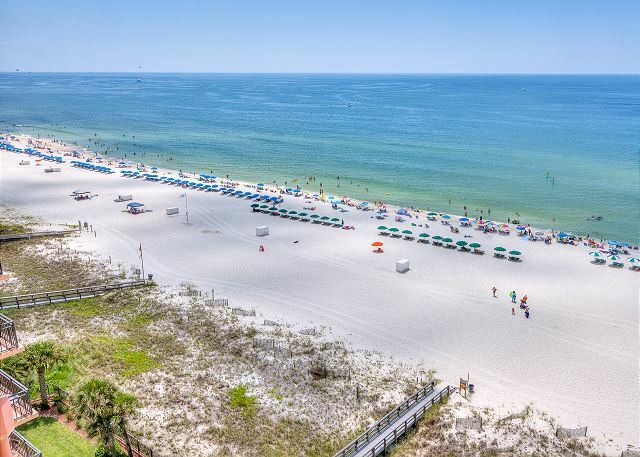 You could literally spend your entire vacation right here! Fully appointed kitchen includes breakfast nook, granite counter tops, custom finished cabinets, refrigerator, separate ice maker, oven, stove, dishwasher, and microwave. Laundry room houses a full size top-load washer and dryer. 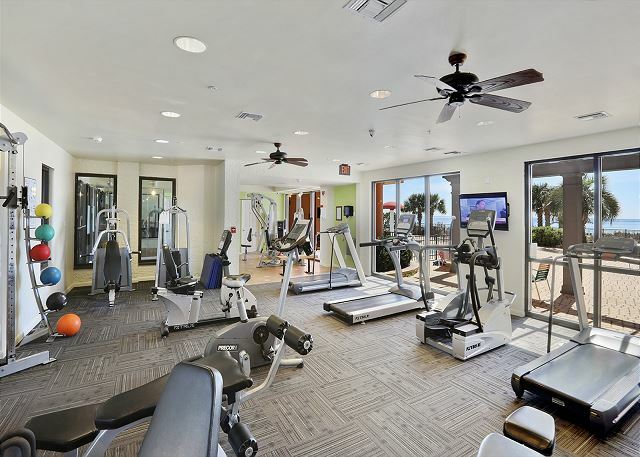 Other features include free wireless internet and free long distance service within the United States, 10 foot ceilings with ceiling fans, central heating and air, safety rails in all bathrooms, brand new designer bedding in all bedrooms, and plush carpet in the living areas and bedrooms. 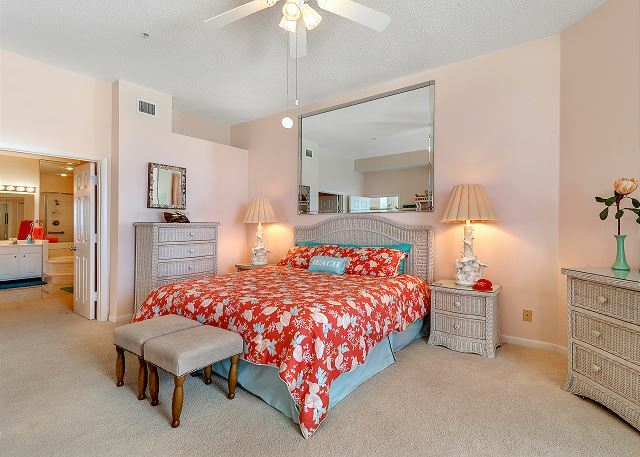 The elegant master suite includes a spacious bedroom with a reading library and flat-screen TV/DVD player, separate access to the balcony, and a large master bath with Jacuzzi tub, separate glass enclosed shower, double vanity, and lots of closet space. 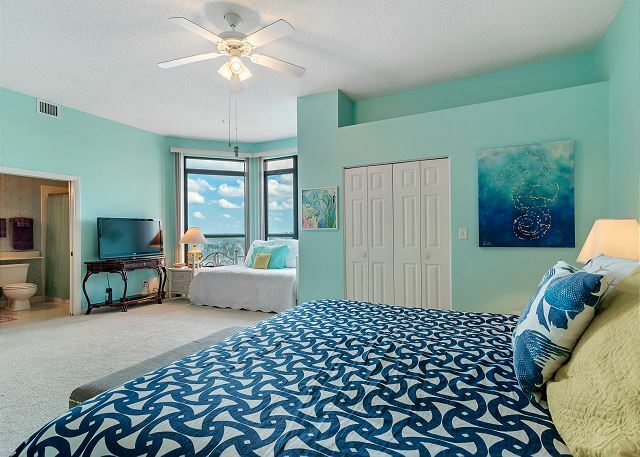 The spacious second bedroom features modern nautical decor, a king sized bed, sitting area featuring twin daybed with trundle, flat-screen TV/DVD player, large closet, and full bathroom with shower tub. The bright and colorful third bedroom has two twin beds, flat screen TV with Blu-Ray DVD, closet, and its own bathroom with shower tub. Due to unforeseen changes to our original destination due to the hurricane, we made this reservation the night before. The staff was extremely accommodating and helpful. 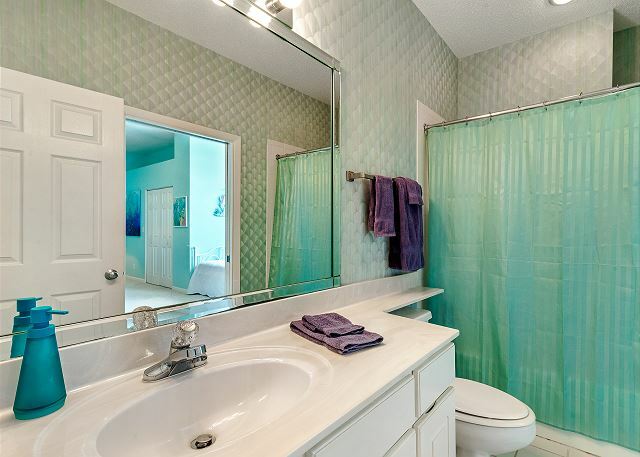 The unit was perfect -- lots of space and easy access to elevator. Enjoyed the pool area and the parking options. Nice clean Large condo that was stocked with everything. We enjoyed the balcony views. This was our family's sixth straight year to rent 1105E. We always rent 2 condos [prior to this year it had always been 1104E, but this year we went bigger with 1101E] because of the size of our family, but this has always functioned as home base. The extra large patio, the extended views down the beach, etc. plus the significantly larger size [even compared to the penthouse units in the other towers] has been a welcome addition for our family gatherings. The unit needs a little updating but is in very good shape overall, and we could not be happier with our choice once again to rent 1105E.